DALLAS – After a rigorous process led by executive search firm Reffett Associates, Ltd, the Army & Air Force Exchange Service’s Board of Directors has selected military and retail veteran Tom Shull to lead the Department of Defense’s (DoD) oldest and largest Exchange Service. Shull will be the first civilian Director and Chief Executive Officer in the nearly 117-year history of the $10 billion military retailer. The change, mandated by the DoD which instructed the conversion of the Exchange’s Commanding General’s assignment to a non-military position, means Shull will replace the Exchange’s last uniformed Commander, Brig. Gen. Fran Hendricks. The announcement also highlighted Shull’s experience as a West Point graduate who received a Harvard University MBA. In addition to serving in a variety of positions in the U.S. Army, including infantry company commander and assignments at the White House and National Security Council, Shull has served as CEO of Wise Foods Inc., Hanover Direct Inc. and Barney’s New York. 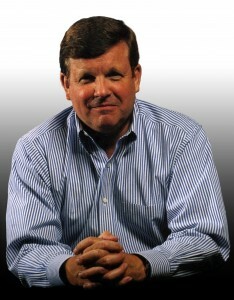 Shull was most recently CEO of Meridian Ventures LLC. The Exchange, ranked 43rd in the National Retail Federation’s Top 100 retailers in the U.S. based on dollar sales, is responsible for more than 3,100 facilities worldwide in more than 30 countries, five U.S. territories and 50 states. The Exchange operates 180 main stores and more than 2,000 fast food restaurants and also provides military communities with convenience, specialty stores and movie theaters on installations worldwide, including locations in Afghanistan. For more information or to schedule an interview with an Exchange representative please contact Judd Anstey, 214-312-3861 or Anstey@aafes.com. This entry was posted on Wednesday, May 23rd, 2012 at 19:53	and is filed under Press Release. You can follow any responses to this entry through the RSS 2.0 feed.